Nothing is underneath, everything is underneath. There are no hidden powers, more or less deviant masonries, economic or political powers, strange sects dedicated to even stranger rituals. 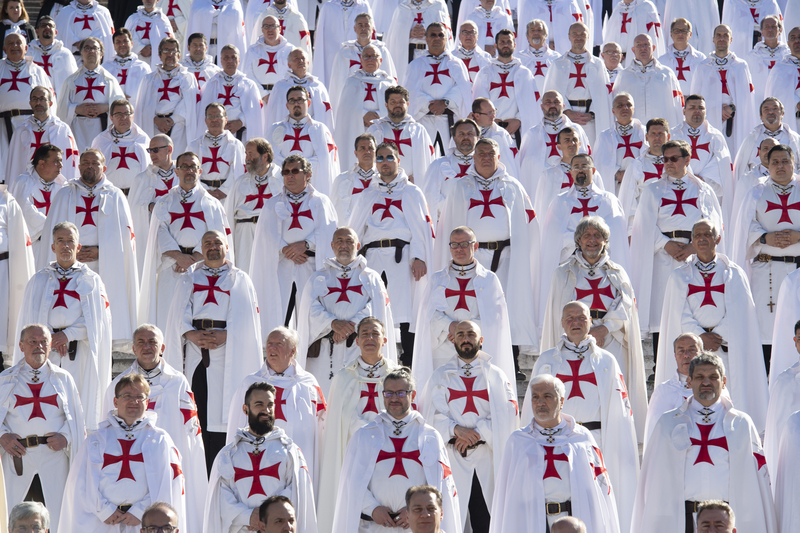 There are no requests for immovable or movable property belonging to the Ancient Order of the Temple, or the will to overpower the fraternal Recognized Orders of Malta and the Holy Sepulcher. 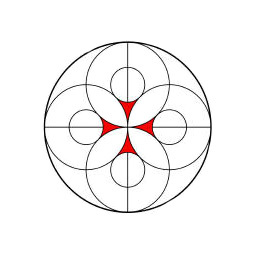 On the other hand, there is a lack of interest and desire to pursue, alongside the Holy Roman Church, a bright Christian and Catholic chivalrous road that leads to Jesus Christ, carrying on the eternal values ​​of our Tradition, inspired by the shining example of the ancient martyrs of the medieval Order of the Temple. There is the will to belong to a single great “group of power”, the one that Christ wanted on earth: the communion of the faithful catholic Christians, protected by Our Lady the Virgin Mary. There is the will to fight, with the weapons of prayer and the chivalrous action of sacrifice, all the sects, the satanism, the operators of evil, the disfigurers of ecclesial goods, the insidiators of unarmed children. 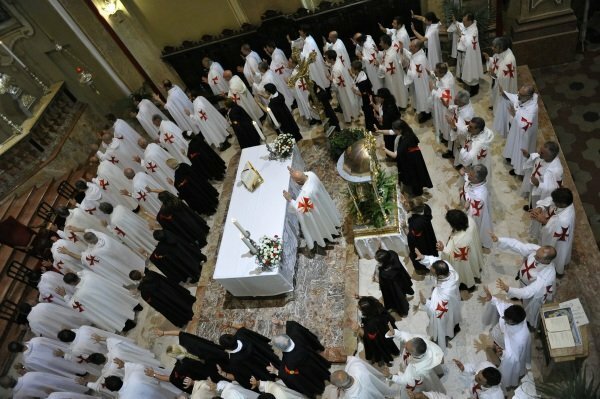 There is the will to give active collaboration in daily life to the Pastors of the Holy Church of Rome: Priests, Monks, Sisters, Consecrated lay people, Bishops and Abbots, Cardinals and above all there is the following of our Holy Father, sole leader of the Order of the Italian Temple. 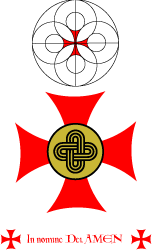 There is the will to fraternally support the activity of Catholic Christian Chivalric Orders, such as the Sovereign Military Order of Malta and the Order of the Holy Sepulcher of Jerusalem, united in the Christian ideal and in the testimonial works the true Cavalry, based on the action and on individual and collective sacrifice. Finally, there is the will to avoid the flattery of money, which we used only as a mere instrument to recover, together with the work we lend for free, the many ancient churches abandoned or profaned by the Adversary. 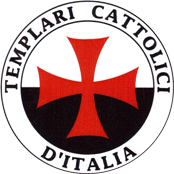 And all this is directly verifiable, and it has been verified by anyone, religious or secular, to personally check the spiritual path that is carried out among the Catholic Templar Knights of Italy. Nothing is underneath, everything is underneath.